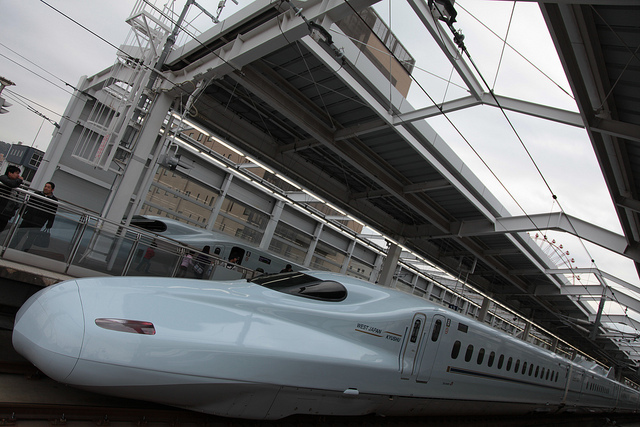 Today, I’d like to introduce an article about Kyushu Shinkansen, which opened all lines service last spring. Ekiben or train lunch is one of fun when travelling by shinkansen (^ u ^) Those packed lunches tend to be filled with colourful specialities of the regions and very appealing to children. Also, there’re a wide variety and pricing. 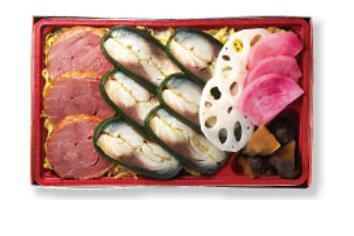 For such a little treat on shinkansen, Kyushu Shinkansen seems to be offering commemorative ekiben as follows. 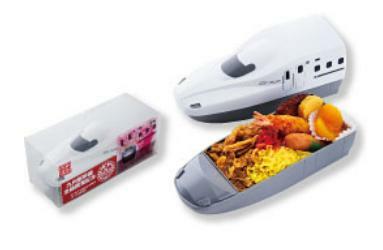 Here is Kyushu Shinkansen ‘Sakura’ lunch, available at Hakata Station (1,150yen; equivalent to US$15). And Ogura lunch of Ogura Station (1,180yen). 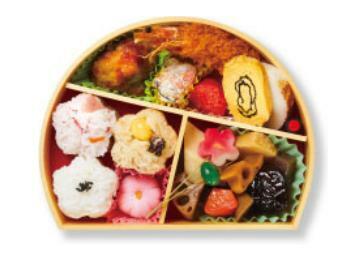 This ekiben is produced with an image of spring, and contains chicken steak, chikuzen-ni, seasoned cod roe and other specialty food of the place. This is chirashi-sushi with mackerel from Hakata (1,000yen; equivalent to US$13). This sushi has vinegared mackerel, duck, vinegared lotus root, red turnip and pickled Jerusalem artichoke, all arranged on top. According to the article, there’re 22 Kyushu ekiben in total, ranging from reasonable 700yen one (equivalent to US$9) to luxury one with many local specialties such as raw and seared blowfish, which requires reservation in advance. FYI, these ekiben are available at major stations including Kagoshima Chuo Station, Nagasaki Station and Kumamoto Station. Even if you are too busy to have a lunch at a restaurant on your business trip, you could be fully prepared for your work in the afternoon if you have such ekiben! I hope you enjoyed today’s article about ekiben.